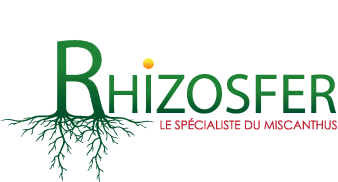 At Rhizosfer, we mainly address farmers; especially those wishing to purchase rhizomes of Miscanthus giganteus. Our customers have lands that can accommodate a large cultivation of this plant for the production of biomass. However, within our company, we do more than just grow and sell underground stems for planting. We offer further services to make sure our customers are satisfied with their culture. The purchase of Miscanthus giganteus rhizomes with the vision of launching the production for the bioenergy sector is a major investment. That is why we get involved with farmers to provide advice, a follow-up and a contract. We are also committed to help them in their thinking process before placing an order. Before even considering the purchase of Miscanthus giganteus rhizomes for your plantation, you must already assess the various factors that may affect your investment. You can also turn to our team for the validation of your plots. In addition, it is advised to closely study the different outlets for this plant. We help you for the cultivation of your crop in regard to the work needed on the ground and the planting techniques to adopt. You can call on us to monitor your crop so as to keep control of weeds or your harvest. Paying close attention helps to ensure the productivity of this grass. To go further, we propose the implementation of contracts to buy back your production.